Home automation and smart homes are nothing new, the tech has been around for years and there are some great installations around. I have dabbled with home automation in the past but this year I am really focusing on smarting up my home. Why now? Well it’s a number of factors, last year I reviewed a smart plug from D-Link which is a Wi-Fi connected plug that you control via an app, I initially found useful for controlling a single light but I wanted it to do more. Adding more smart plugs worked well for controlling my Christmas lights but I found using apps on a phone to trigger things an inefficient way of controlling the home especially for the rest of the family. Basically I wanted a system that didn’t require a ton of installation work, everyone can use and fun. For music I use a Sonos Play 3 and a Son Play 5 in two separate rooms either streaming music from Google Play Music or Microsoft Groove. I also play my vinyl records via a record player plugged into the Sonos Play 5 (via line in) which I can then stream to the other Sonos. My heating system is currently the fairly standard old Honeywell thermostat and scheduler system which is inefficient and due an upgrade. As for lighting we have some nice lights in the home including some nice table lamps so I don’t want to throw out my Sonos system or my lights but my heating system could do with an upgrade. So I am going to keep my Sonos, most of my lights but upgrade the heating (which will be a bigger job than the other items I want to control). When it comes to controlling the home one thing I wanted to avoid was only me being able to operate the system leaving my wife and kids in the dark, in the case of lighting literally. So that meant that using my phone to control the home isn’t really a good option. One option would be to install wall mounted touch screens but this could be expensive and probably complicated so voice control looks like the best bet. 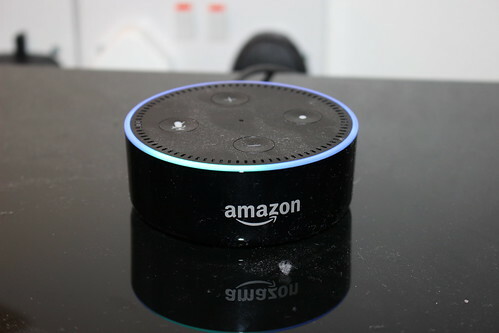 I actually picked up an Amazon Dot a couple of months ago and initially I found it pretty useless, it couldn’t control my D-Link plug or Sonos so was close to writing it off as a gimmick. 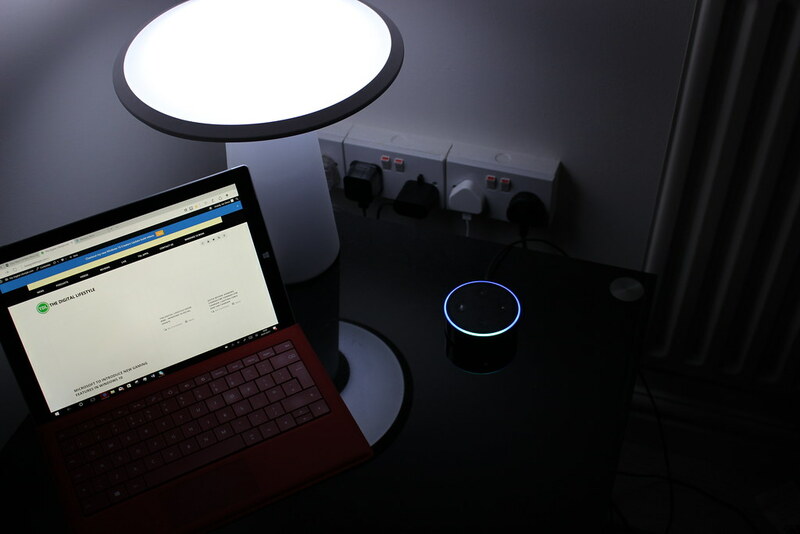 That was until I discovered a few different apps that can enable Sonos and Alexa to work together, IFTTT and D-Link enabled Amazon Alexa support. So for my project Amazon Dot will be way to control the home. The great thing about using Amazon Alexa is that it works with a wide range of services and isn’t tied to one platform. It can control Philips Hue, Hive heating, Nest, D-Link Plugs, TP-Link all from the voice. The device makers has to create what Amazon call a Skill for Alexa and once linked it doesn’t really matter which type of device you have. So for example you can turn on Philips Hue light or a Hive bulb using the same command, you can even group items together so one command could switch on multiple Hue lights, TP-Link and D-Link plugs. So Amazon Alexa takes control all your devices regards of who made them and it is what really makes all this possible. The cost of an Amazon Dot is currently £49 and it’s a great way of getting into the smart home for not much investment. The Amazon Echo costs £150 and has a great speaker built in so you get a good music player and Alexa. Alexa isn’t all about the smart home, it can play music, podcasts, read the news, tell a joke and lots more. There are alternatives devices, Google Home has similar features but isn’t available in the UK yet, Apple have Siri but you have to use your phone or iPad for that and Microsoft don’t have any smart home offering just yet (you can use Cortana to control some devices more on that in a later post). So now I have voice control via Amazon Alexa next I need to have some smart devices to connect to it. In part 2 I will look at controlling lights and plugs and in part 3 I will look at music control and extra apps. In this video I show how I use Amazon Dot to control my Philips Hue lights and D-Link smart plugs and my Sonos. great start – we’ve had some aspects of home automation going for a few years, using Vera and the z-wave protocol. 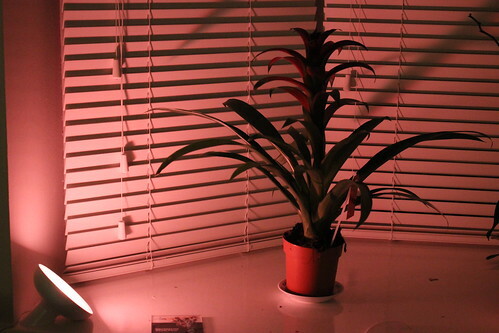 We have a few hue bulbs that we control using scenes, along with several plug adaptors, and relays. Its one of those projects, where you could keep going forever! I’ve built our setup so that its pretty much automatic so far, in that we have a ventilation system in our house, and when we detect humidity in the kitchen or bathroom hitting a set level, if the ventilation isn’t already on, it turns on, if the humidity goes above a predefined limit, the ventilation boost kicks in, until the humidity drops. One of the ventilation pipes has a smoke detector in, and if a neighbour has a fire lit, and the smoke starts to circulate around our house, this turns off the ventilation, to stop this happening further. We use away modes to mimic people being at home, so lights come on, tv simulator comes on, heating reduces to a set value, and the motion sensors are triggered. We have some zigbee blind controls ordered, and these will be incorporated so that the blinds open and close according to whether we’re home, or when the sun is out, and its summertime, so reducing the heat. There are so many possibilities and given the right level of funding, you can probably achieve anything you want. Fortunately it can be built up piecemeal as and when funds allow, which is how I’ve handled it. Heya, nice article. I’d like to point out you can extend your Alexa functionality even farther with a more comprehensive home hub behind it, like Wink or SmartThings. That extends the controllable devices by dozens. To go even further, you can install the free open source Home Assistant (https://home-assistant.io/) on a PC or Raspberry Pi somewhere in your home network and get even MORE device and service integration and automation. This is the dawn of a new era in home automation, where it’s accessible and flexible enough that people can really make it do what they need it to do.